Vishal’s forthcoming film which is tiled as Prabhakaran is progressing on a brisk pace. As reported recently by us the shooting of the film is almost completed by 85 percent. Director of the film Prabhu Deva even completed canning the climax of the film in a small place called Bidar near Hyderabad. Now the team has started canning songs of the film and last Friday director Prabhu Deva has started the fourth song in the film in Pollachi with Vishal and Sameera Reddy. The song is said to be a mix of melody and kuthu kind of song which is tuned by Vijay Antony. Prabhakaran is the remake of Telugu film Souryam and the film is expected to release by August 2011. Vishal’s home production banner GK Films Corporation is producing this film. 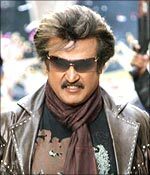 Rajni to team up with Shankar again?